Guestlist is available on most nights, with drink tickets for ladies. 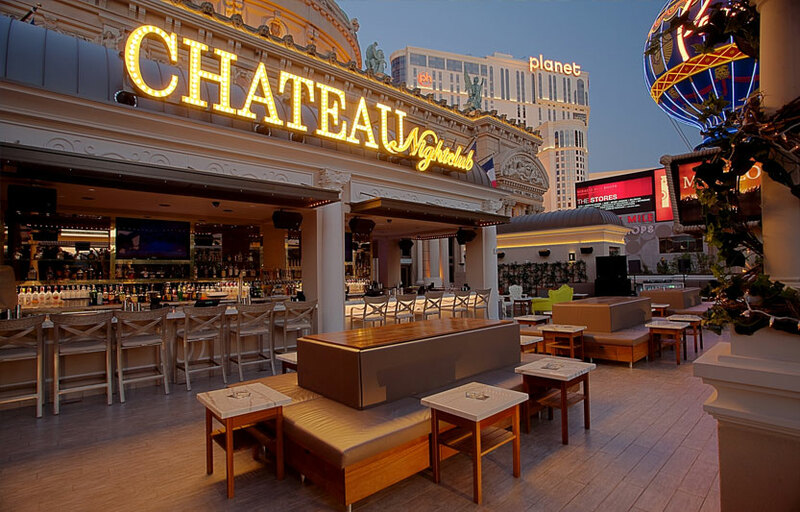 Chateau rooftop features expansive views of the strip. The rooftop is the primary location. The indoor area is only open during inclement weather. During the day Chateau doubles as a beer garden. Chateau is one of the few clubs that plays primarily hip hop music. Chateau is inside the Paris hotel & casino, in the middle of the strip. 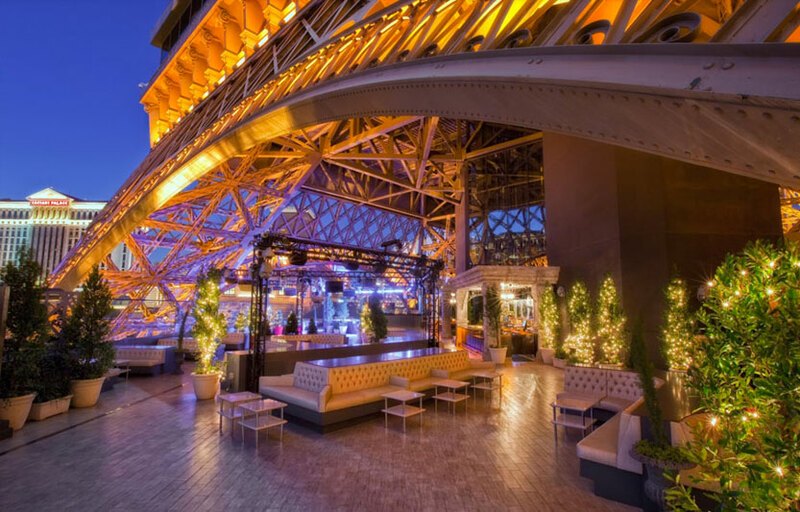 The nightclub itself is right underneath the Eiffel Tower. 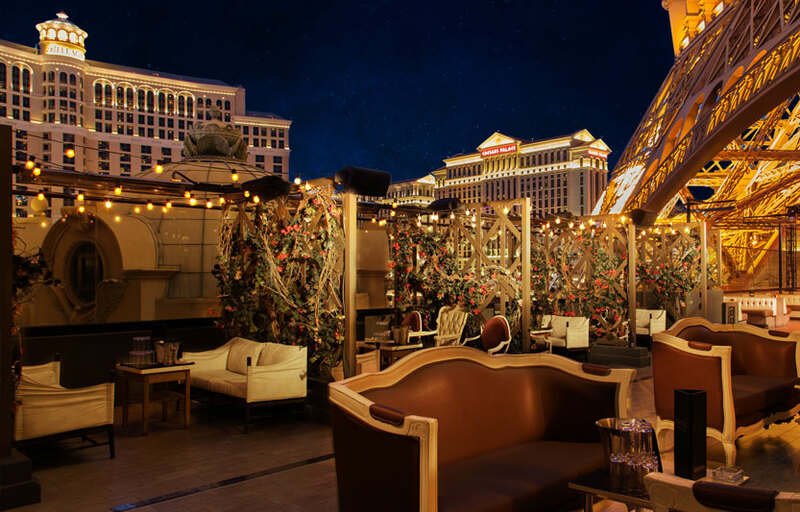 What is the cover charge at Chateau? General admission is $20 for women and $30 for men, excluding special events. How long will I have to wait at Chateau? Average wait is 15-30 minutes. Chateau is open Wednesday through Saturday nights from 10:30 p.m. to close. 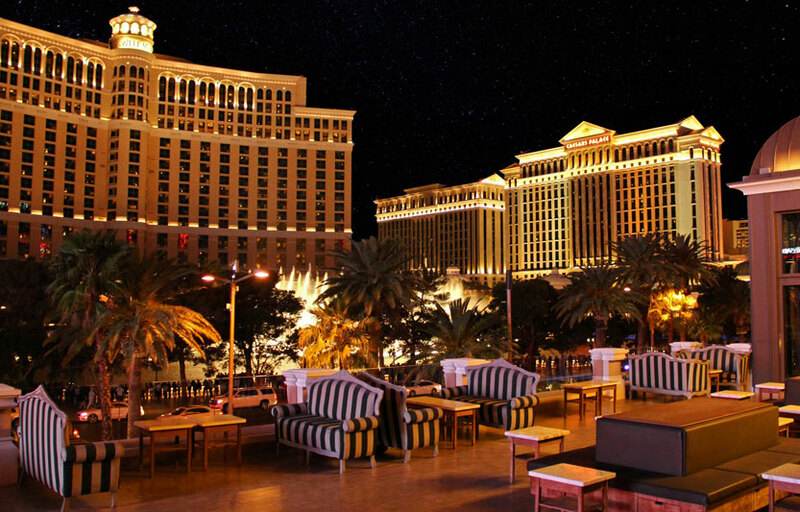 What are the best nights to go to Chateau? Saturdays are usually the busiest. What is the dress code at Chateau? Collared shirt / jeans / dress shoes for guys. Avoid anything that can be considered sportswear (track jackets, jerseys, sneakers, hats, etc). If you are getting bottle service you will have some more leeway on shirts and shoes. How much do drinks cost at Chateau? Mixed drinks / cocktails Start at $15, Beers $8, Shots $8, and Bottles start at $450. Chateau features primarily local resident DJs, with guest celebrity performances from time to time. What kind of music do they play at Chateau? Top 40’s hip hop, old school. Where can I find an list of upcoming events / DJs at Chateau? You can download the Discotech app to see upcoming events, get on guestlists, book tables, and buy tickets. You can also visit Chateau’s website for a current list of events. In which hotel is Chateau located? Chateau is located in Paris. Looking for VIP offers and comps at Paris? 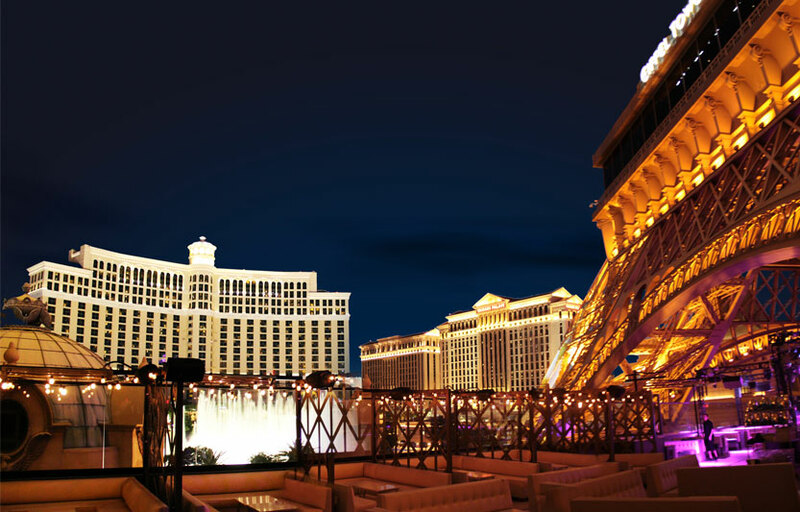 Check out URComped.com to find a Casino Host at Paris.